Southern Utah University is partnering with LUMEA Inc, a medical diagnostic research organization, with the aim to accelerate the development of new digital cancer diagnostics in the field of pathology. LUMEA has developed and deployed the first artificial-intelligence cancer diagnostic platform in urology. The Digital Diagnostic Medical Research Initiative (DDx-MRI) will enhance the application of this technology in other types of cancer. 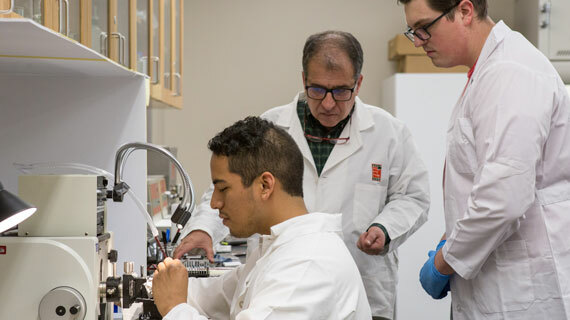 This research initiative will bring internationally recognized medical experts to campus for research sabbaticals and direct collaboration with SUU faculty and students. The first DDx-MRI visiting professor is Dr. Sorin Musat, PhD/MD. An anatomical pathologist from Romania, Musat developed techniques and tools to advance the science of histotechnology, a foundational part of cancer diagnostics. 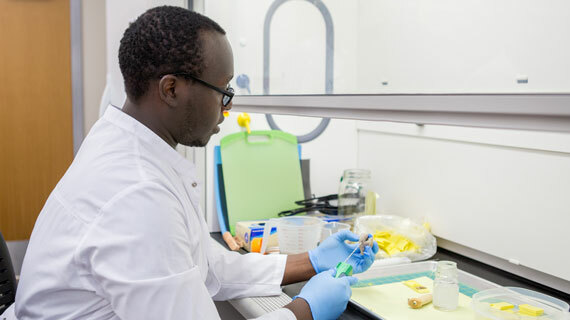 This initiative will provide exceptional hands-on medical research opportunities for students interested in the medical field, histology and engineering fields. SUU students can apply for scholarships or college credit as they engage with the visiting faculty. Dr. Matthew O. Leavitt, SUU class of ’98 and LUMEA founder and Chief Medical Officer, is enthusiastic about the opportunities this partnership will provide for SUU. Housing and travel expenses for visiting faculty are made possible through donations from the Dixie and Anne Leavitt Family Foundation. SUU is providing research space and a venue for visiting faculty summer seminars. Research funding for DDx-MRI projects will be provided by LUMEA.